Dubai: The Myriad Dubai, a housing community exclusively for university students, is expected to open in 2020, with rents starting at Dh16,000 per semester. Officials said the cluster of buildings — seven blocks with 1,820 fully-furnished rooms — will be the first “fully integrated” and largest student housing community in the UAE. Currently, only a handful of universities in the UAE offer their students housing on campus. The Myriad Dubai, spread over 58,000 square metres, will be located within walking distance of most universities in Dubai International Academic City (DIAC), where some 26,000 students study at almost 30 universities. Strategic Housing Group (SHG) will manage the project’s development. On Monday, Vikram Rao, SHG’s CEO, said students would be able to hold jobs in The Myriad Dubai, in line with “regulatory requirements”. University students in Dubai can hold paid part-time jobs in thousands of companies in nine free zone clusters, following a regulation announced in 2016. The income from jobs would help students pay rent at The Myriad Dubai, where rent will range from Dh16,000 to “under Dh30,000” per semester, Rao said. There are two full semesters in one academic year (Fall and Spring) and a shorter summer semester. 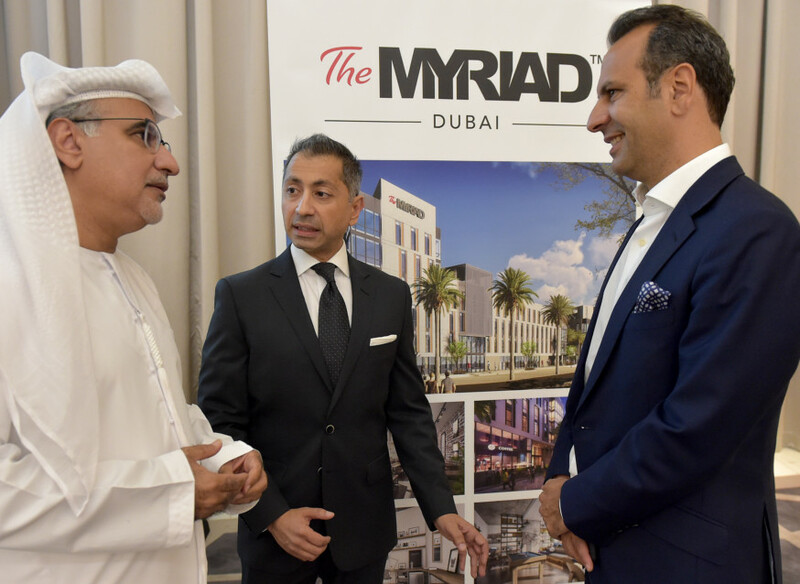 Rao said students staying at The Myriad Dubai in the summer semester, or returning home while keeping their room, will be offered a “subsidised lease”. The rent will include utility and WiFi bills. All rooms will have an en-suite bathroom. Regarding room sharing, Rao said “it really depends on the requirements of the students and universities… Right now, we’re assuming single occupancy”. The Myriad Dubai will have segregated rooms for young women and men but there will be areas in the community where gender segregation will not apply. The Myriad Dubai project is sponsored by FIM Partners, a Dubai-based investment management firm.